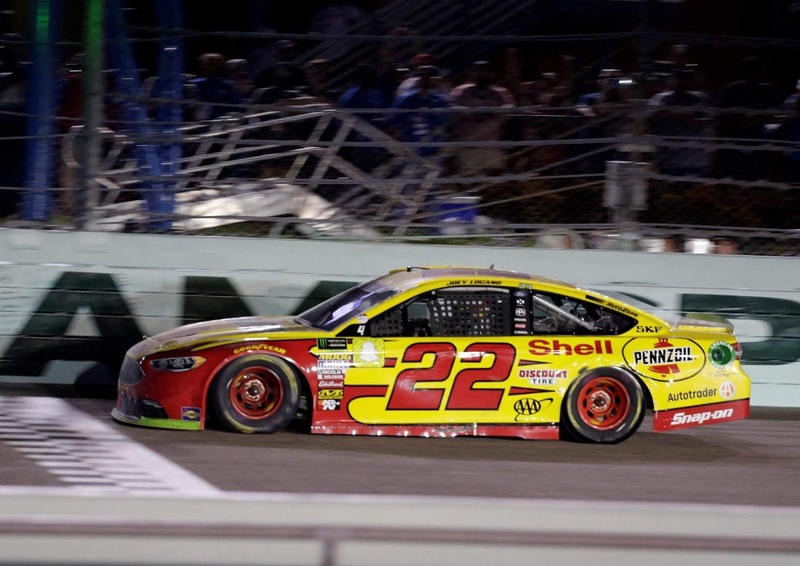 The 2018 NASCAR season would down with an exciting finish at Homestead-Miami Speedway among four drivers who had earned the finalist berth. Or as Joey Logano called it, "The Big 3, and me". Well "me" showed the Big 3 that he was bigger. Or faster. At or near the front during most of the race, Logano feasted on "short runs" (e.g. small periods of green flags between cautions) to run away from the field in the final 20 laps. 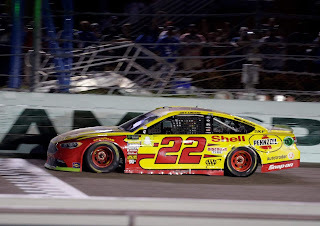 Logano's #22 Penske Pennzoil car continually raced ahead of the others in the first few dozen laps of a run, and that was all it took after the final caution came with under 30 laps to go. He pegged each of the drivers in front of him and then opened a several second gap not only beating the others, but winning the race. It was Logano's first Monster Energy Cup Series title for his strong career. There might be many more, but he is our Longhorndave Sportsman of the Week!